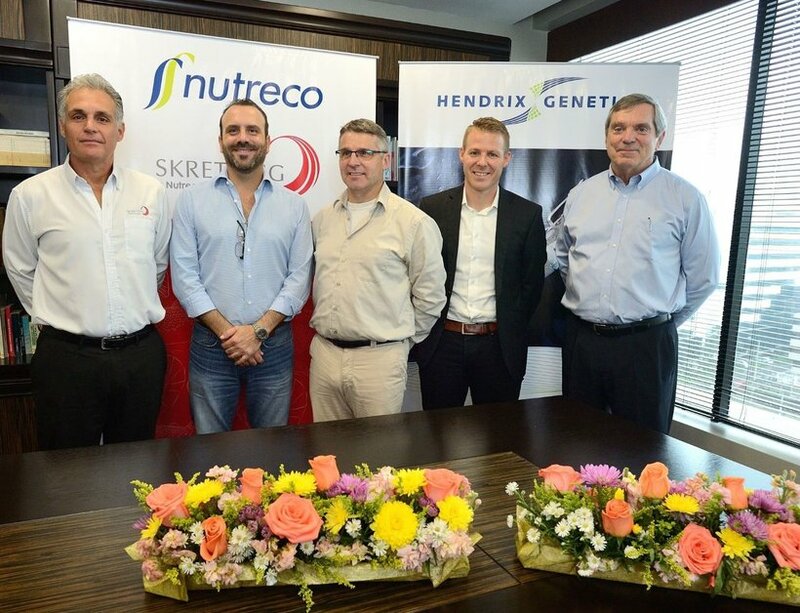 Hendrix Genetics, in partnership with Nutreco and Ecuacultivos, will invest in Ecuador to establish a state-of-the-art shrimp hatchery. The hatchery will deliver high quality, high health Pacific whiteleg shrimp (Litopenaeus vannamei) post larvae to Ecuadorian farmers. The new joint venture will take over the existing Macrobio hatchery and will focus on providing local shrimp production with the most advanced genetics and breeding technologies, nutritional solutions from the world leader in aquaculture feed supply, Skretting, combined with the best farming practices. Hendrix Genetics, Nutreco (with aquaculture division Skretting), and Ecuacultivos will invest capital in upgrading the Macrobio hatchery to a state-of-the-art production facility and developing a world-class shrimp breeding program locally. Backed up with global leading innovation and R&D and expertise in nutrition and genetics, the joint venture aims to increase the competitiveness of the Ecuadorian shrimp industry in a sustainable manner. The hatchery is located in the western region of the country and currently employs around 50 people. Within the aquaculture market in Ecuador, the Pacific whiteleg shrimp is the most important aquatic species produced. The production volumes skyrocketed in recent years, putting Ecuador currently at the third largest producer after China and Indonesia. The market for Ecuadorian shrimp has also changed drastically. In the past, the European Union and the United States were, by far, the largest markets. However, China is now importing about 50% of Ecuador’s total shrimp output. Ecuacultivos is a large scale, progressive Ecuadorian shrimp farming company operating for nearly 40 years, and specializing in high quality, efficient shrimp production. Hendrix Genetics serves the animal protein value chain with genetic solutions in turkeys, layers, traditional poultry, swine, Atlantic salmon, rainbow trout, shrimp, and various other aquaculture species. Founded in 2005 and backed by a strong portfolio of leading brands, Hendrix Genetics provides expertise and resources to producers worldwide with operations and joint ventures in 25 countries and over 3,400 employees. With respect and care for people, animals and the environment, Hendrix Genetics is committed to delivering better breeding today, for a brighter life tomorrow .